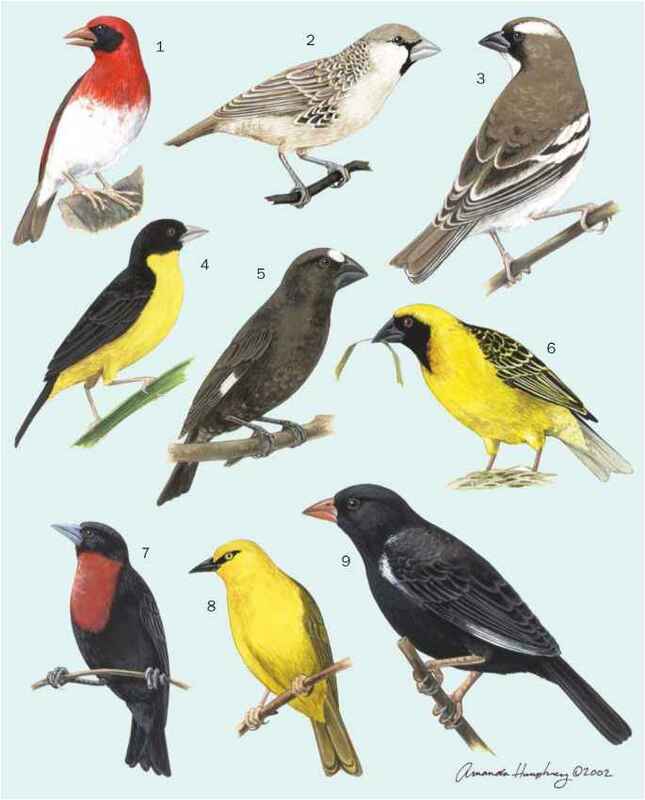 Several colonial weaver species are closely associated with human settlements, nesting in exotic vegetation, and in forested areas, taking advantage of habitat changes to colonize new clearings. Eggs and nestlings may be utilized for food on occasion, but often the relationship is quite harmonious. 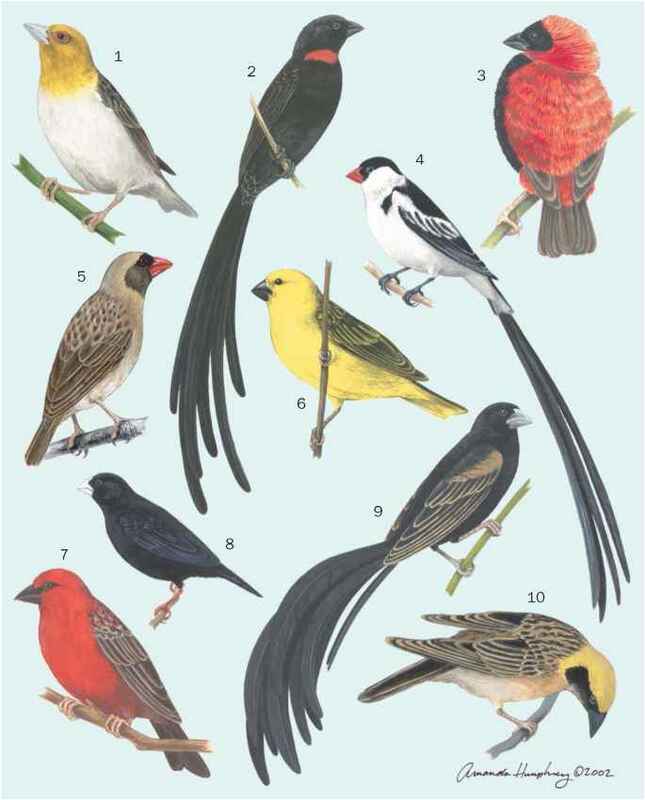 The long tail feathers of breeding male long-tailed widows (Euplectes progne) were once used as elements in traditional head-dresses for warrior tribes in South Africa, but otherwise the colored plumages have not been utilized. For hundreds of years, grain-eating weavers have been a pest for farmers in Africa. M. Adanson, a French botanist for whom the baobab genus Adansonia is named, spent several years in Senegal from 1747, and reported that the inhabitants suffered greatly from the depredations of the weavers. 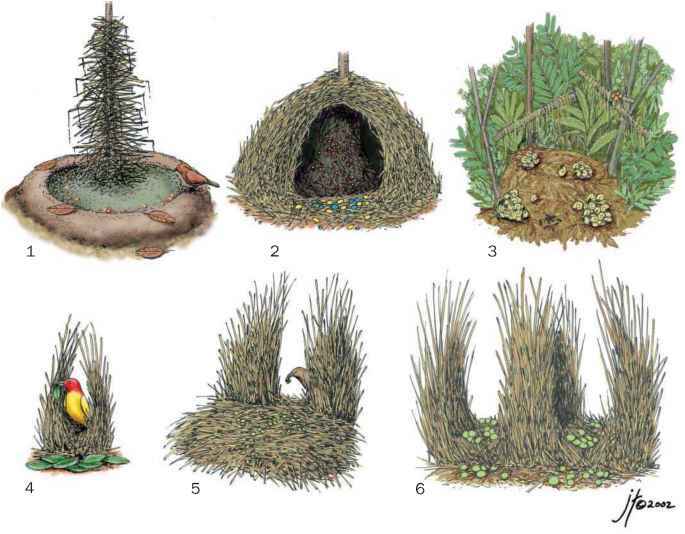 He described several traditional bird-scaring methods which are still in use in Africa today. 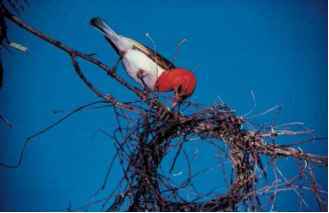 Since the 1960s the red-billed quelea has been recognized as the major pest of cultivated cereals in Africa. Despite international efforts to reduce its numbers, using aerial spraying and fire-bombs set under roost sites, it remains enormously abundant: in March 2000 the South African department of agriculture reported that an estimated 21 million queleas had been killed in control operations during the past month! It seems that in the past, queleas bred prolifically in good years, and then starved when food supplies declined. Today when wild grass seeds are unavailable, they find crops a very acceptable alternative and consequently agriculture enables them to maintain high population levels. To the interested naturalist, a vast flock of queleas "roller-feeding" (in constant motion, with the birds at the back flying up over those ahead of them to be first at the untouched plants) is one of the great spectacles of Africa, but it is a catastrophe for the small farmer, and there is no simple, effective solution.